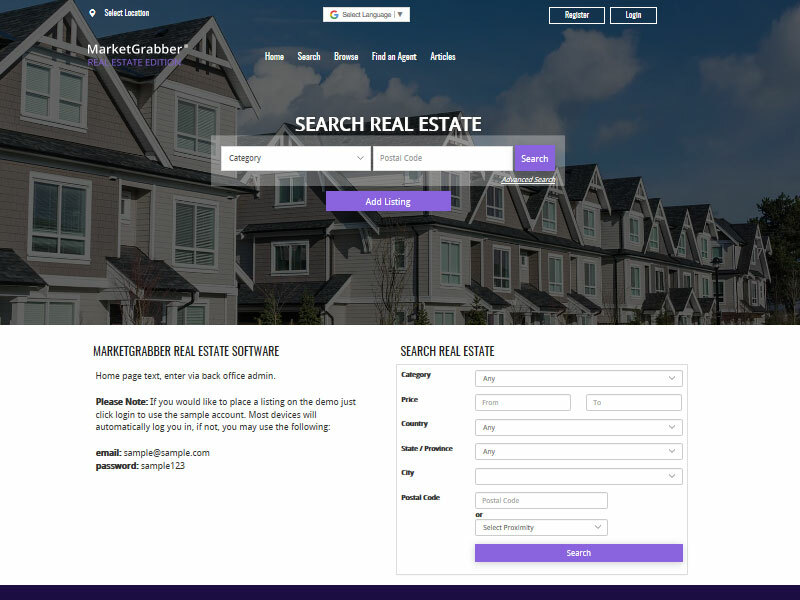 Developers of MarketGrabber Online Software. Powerful and Easy-to-Use Software for Creating Online Directories, Job Boards and Classified Ad Websites. Create a revenue generating online local business directory or a directory for your niche market. 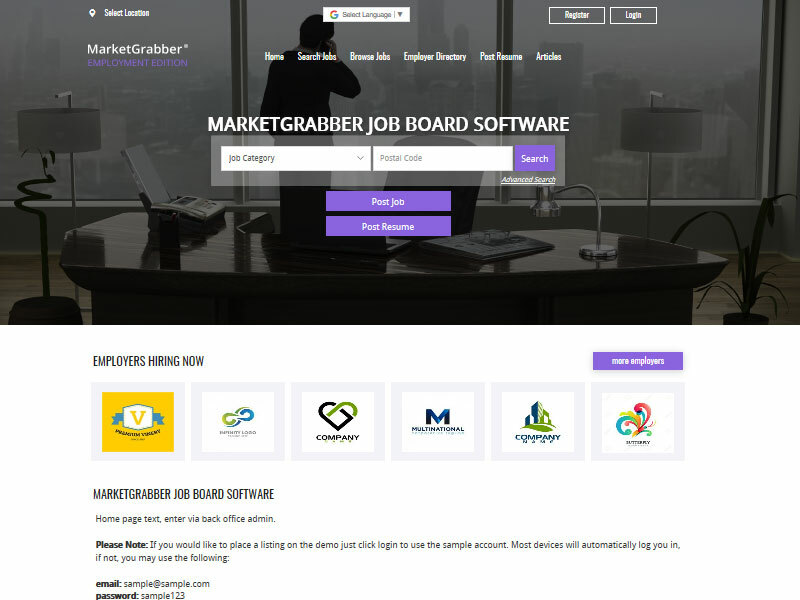 Launch a revenue generating online job board. Create a local, national, or niche specific employment site. 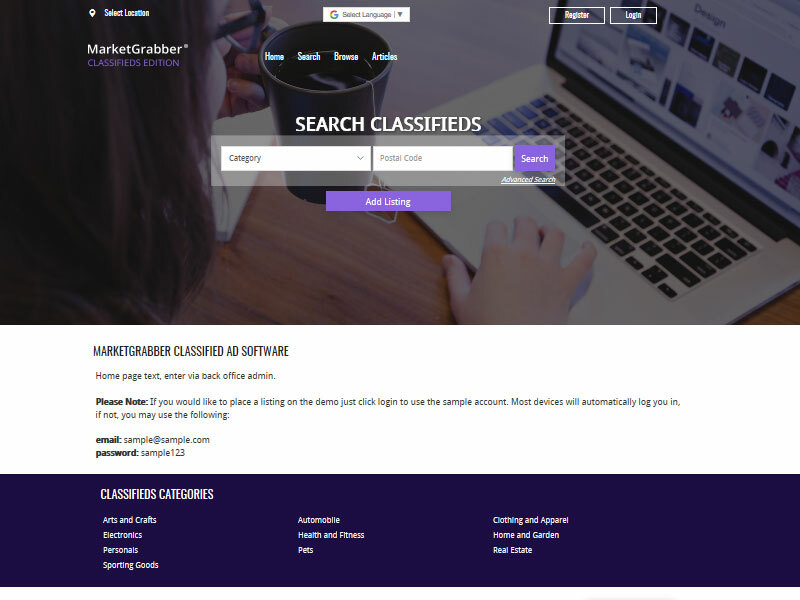 Create your own categories and sub-categories for a general all-purpose classified ad website. 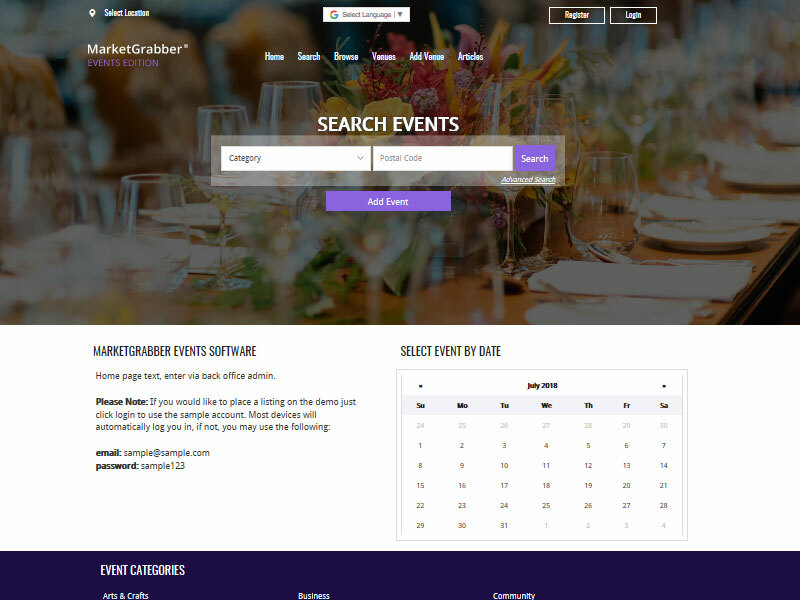 Launch an event listing website. List and search events by date, location, category and venue. Specially designed for a real estate listings website. Residential or Commercial. For sale, lease or rentals. 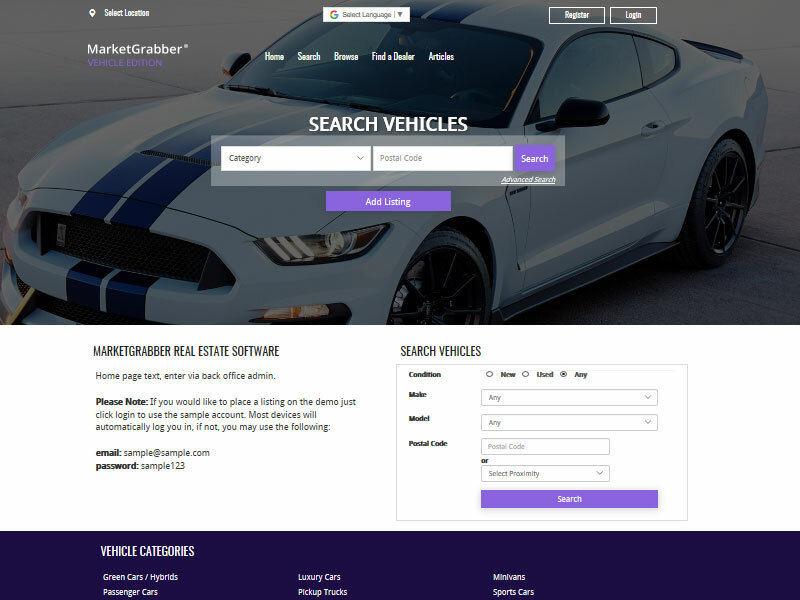 Specially designed for an Auto/Vehicle classified ad site. Powerful advanced search. Dealer Import available. 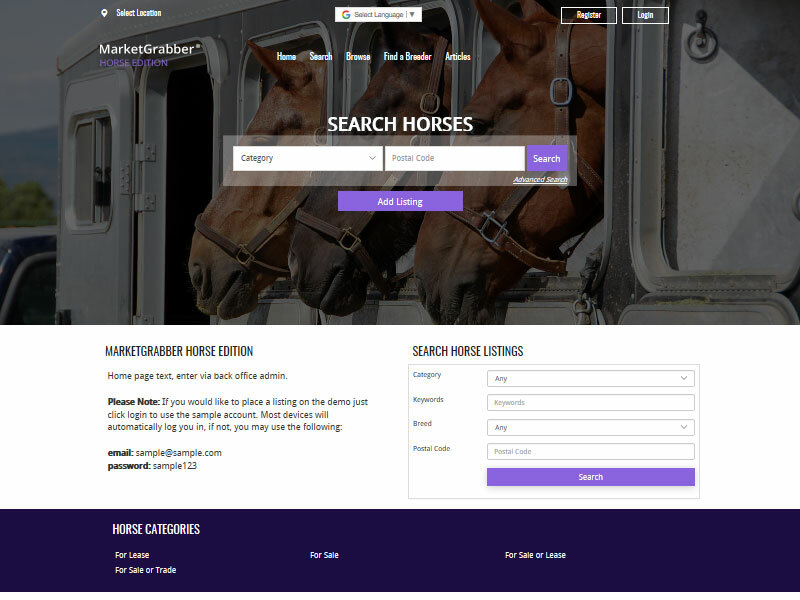 Specially designed for a horse/equine classified ad site. Powerful advanced search. 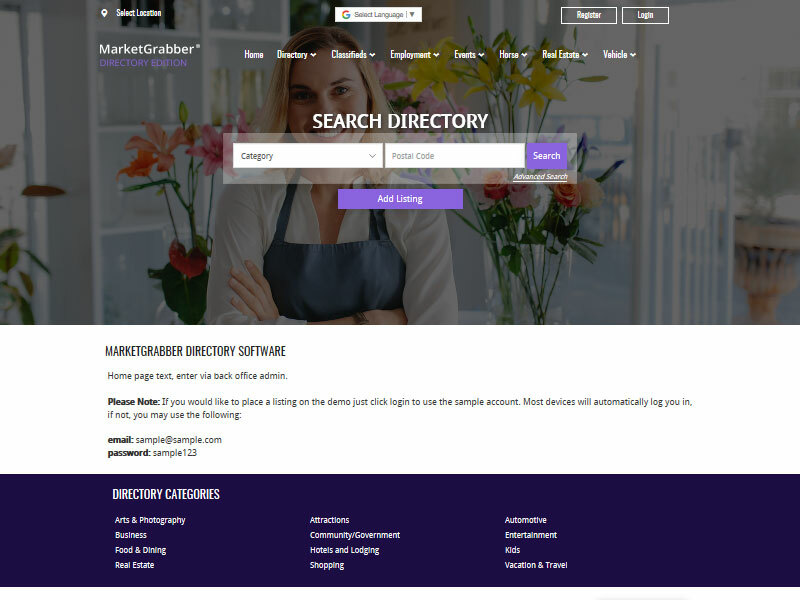 Combine any of our MarketGrabber Editions to meet your specific website marketing requirements.